Dr. Elkowitz is a graduate of the University of Pennsylvania School of Dental Medicine. After completing his dental training, he continued his education at Penn, where he received certificates in both periodontics and periodontal prosthesis. This advanced training in treating gum disease, placing dental implants, and restoring badly damaged teeth enables him to provide patients with the best comprehensive care for their smiles. 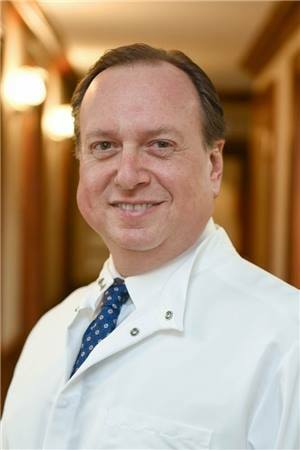 In addition to helping his patients, Dr. Elkowitz was a clinical attending at North Shore University Hospital where he taught in the Division of Prosthodontics and has earned multiple awards for his distinguished teaching ability. Dr. Elkowitz is a member of several dental organizations, including the American Dental Association, New York State Dental Association, Nassau County Dental Society, American Academy of Periodontology and the Northeast Society of Periodontology. Each year he attends numerous hours of continuing education, studying the latest techniques and procedures for the betterment of his patients. Dr. Elkowitz’s exceptional skill and warm, friendly personality help his patients feel relaxed, even while undergoing the most complex dental procedures.